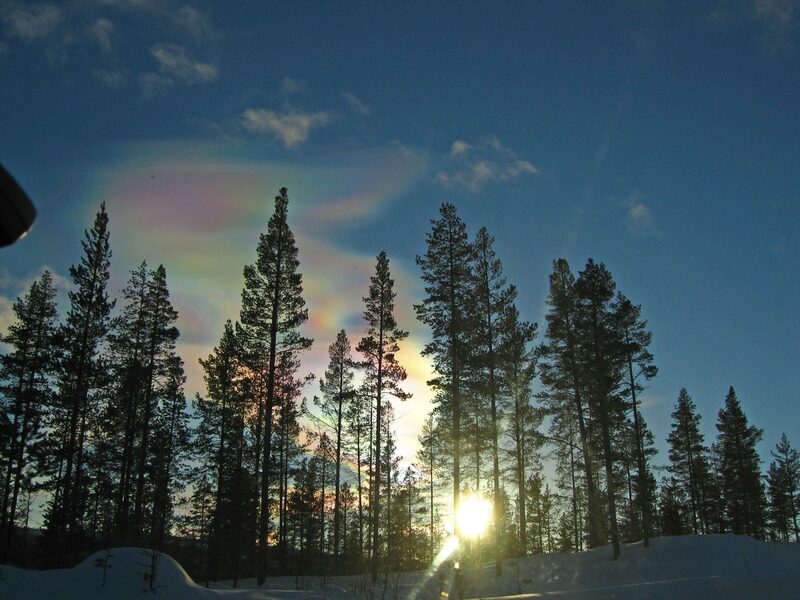 I had never seen so huge, colourful, mutating nacreous clouds! 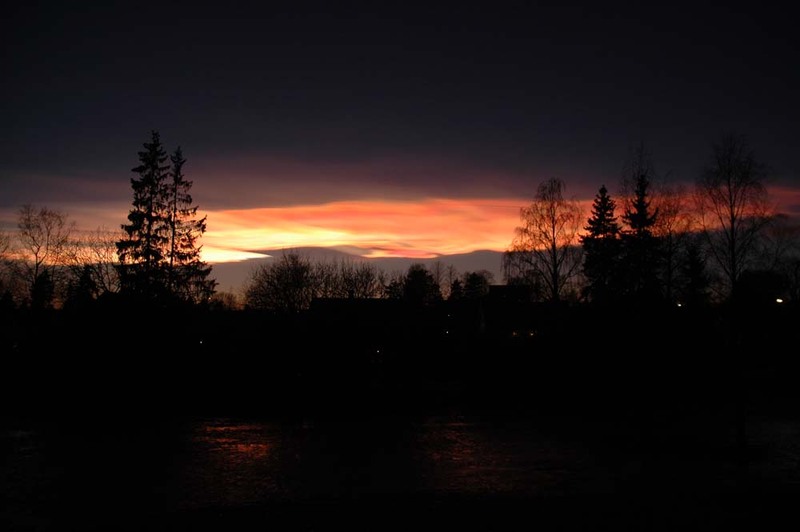 Camera: Canon Digital IXUS 700. 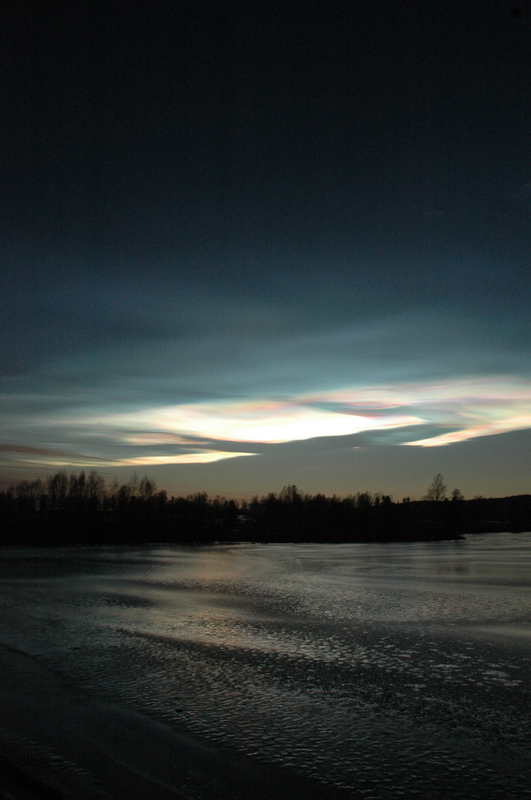 Automatic ASA, lowest exposure. 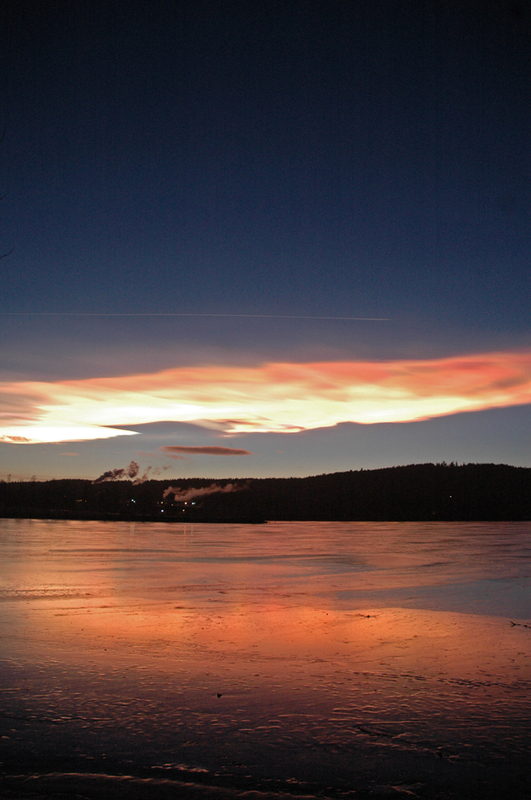 For the darkest photo i used sunglasses as a filter. 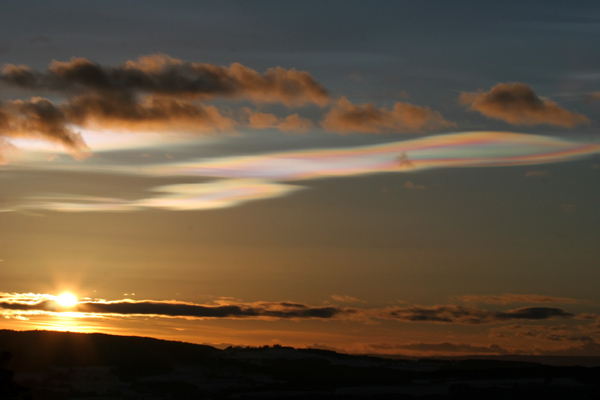 I have corrected shadows and lights a little in Photoshop, trying to recreate what i actually saw in reality;but the beautiful colours in the clouds have NOT been enhanced. 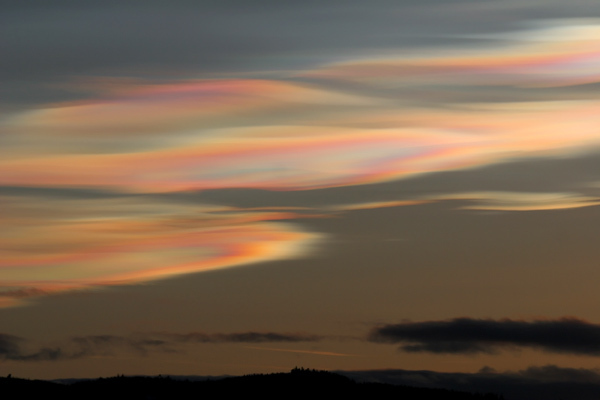 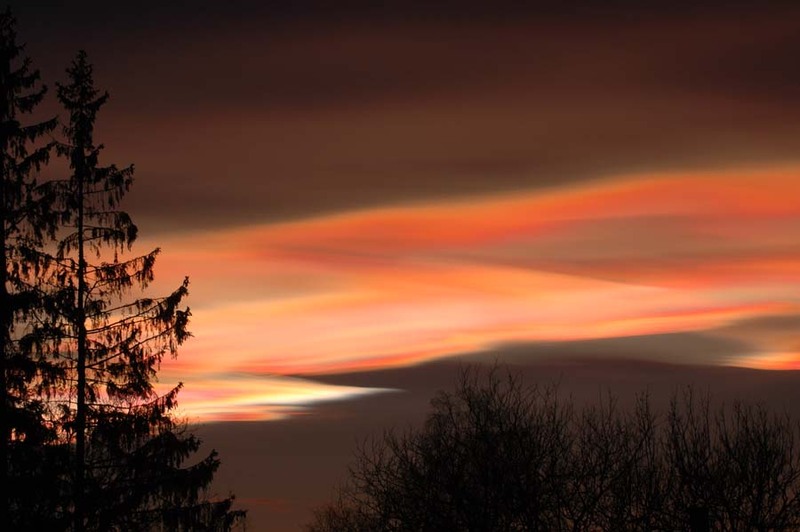 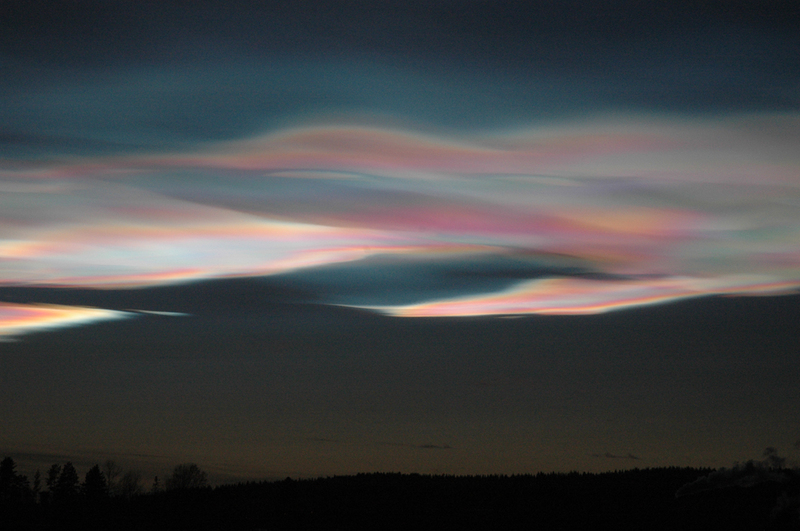 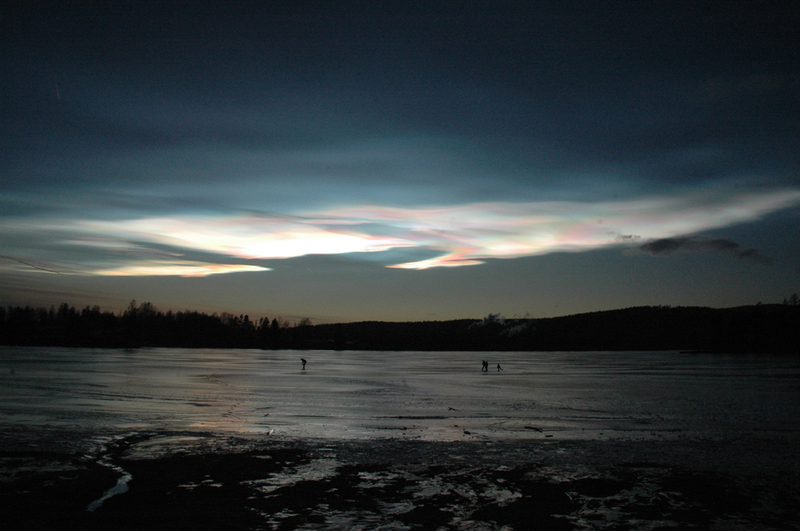 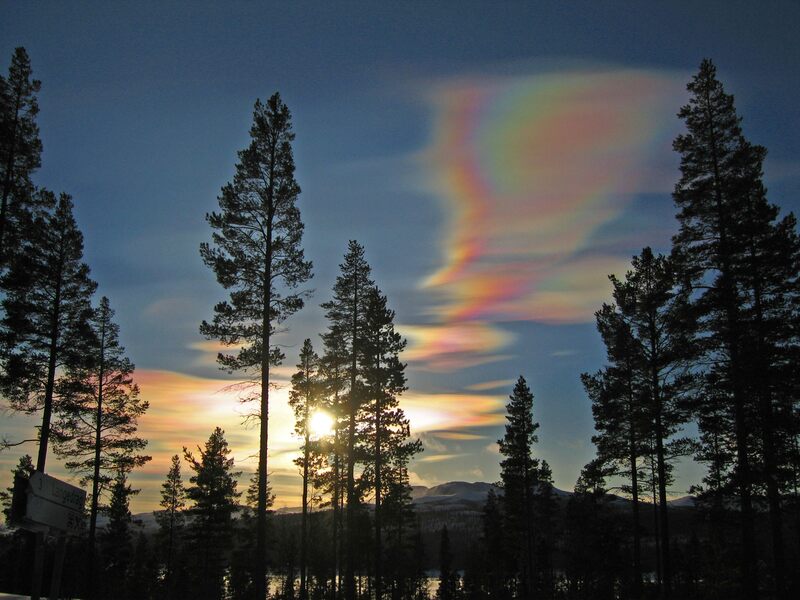 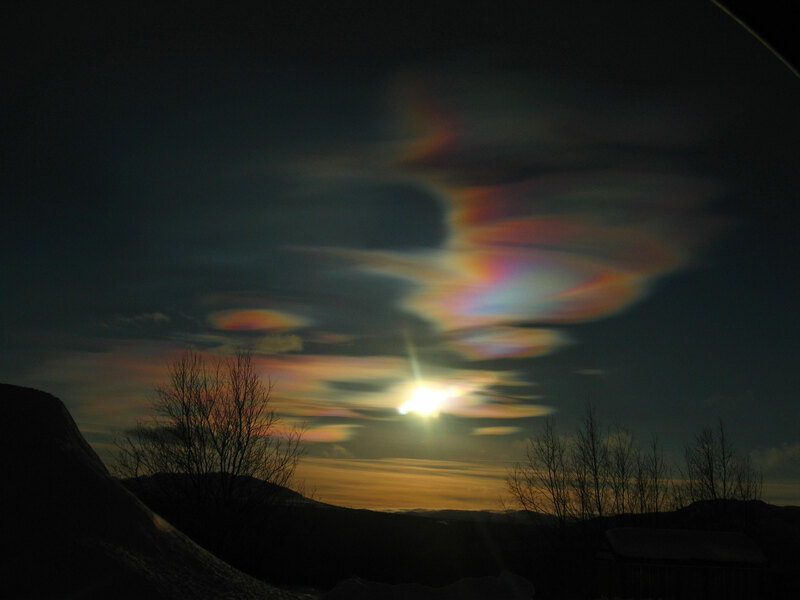 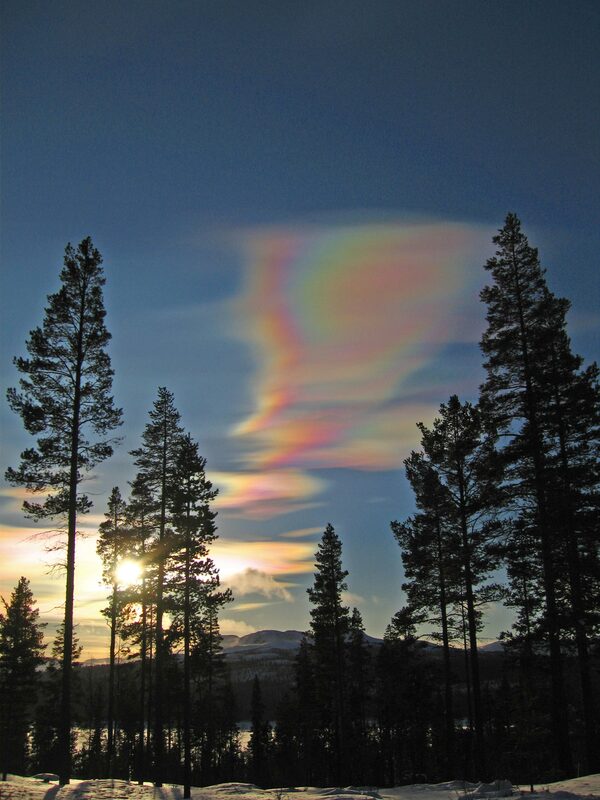 Beautiful nacreous clouds over Norway on the 19th and 20th of January. 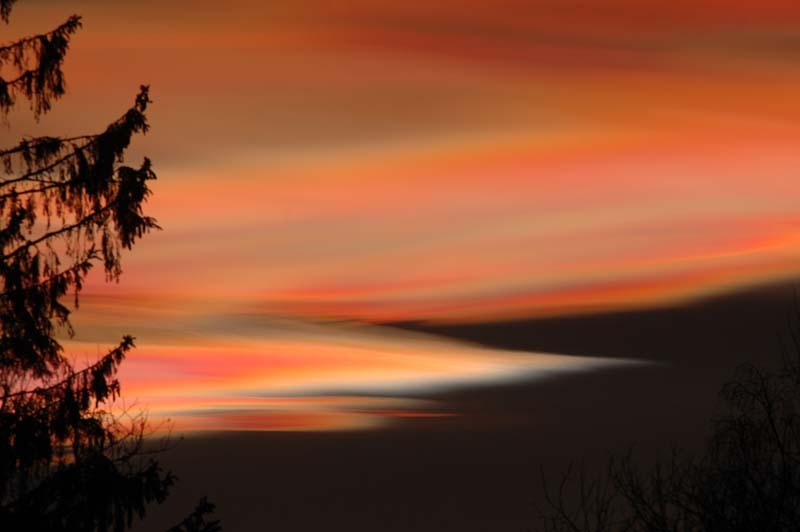 It started a couple of hours before sunset and the colours got more vivid after sundown.The photos were shot with a Canon 20D camera. 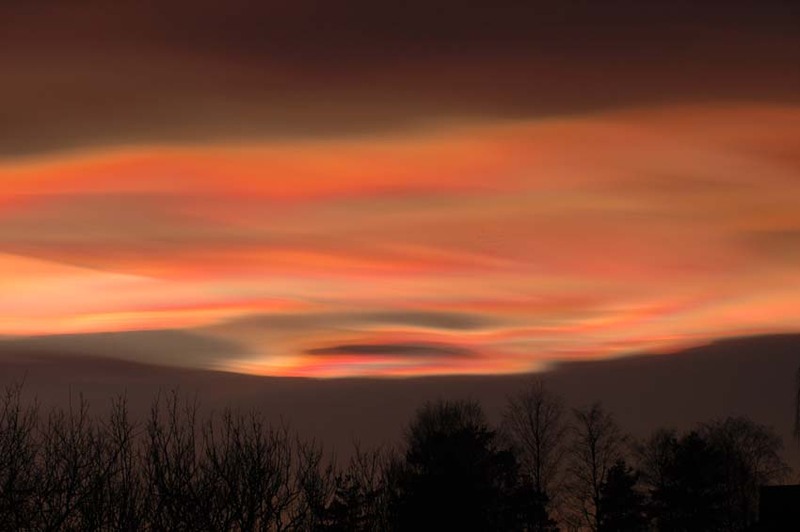 more images (Jan. 19): from Derick Rethans of Skien, Telemark, Norway; from Morten Ross of Sandbukta, south of Oslo, Norway; from David Milton of Angered, south western Sweden.